Legend has it that way back in 800 A.D. goat herders in Ethiopia noticed that their goats appeared to “dance” after eating coffee berries. Shortly after, a local monk made a drink with the berries and thus, the world ushered in its first cup of coffee. Since that fateful day, coffee has grown in demand to become the second largest commodity traded on Earth with over 50 countries involved in producing the perfect brew. This makes sense, as most people can’t even get out of bed in the morning without a cup. However, in the last few years, scientists have discovered some of coffee’s amazing health benefits. And they are sure to perk you right up. It’s no secret that coffee makes you feel less tired, but it also has an interesting effect on your brain and intelligence levels. The extra dose of caffeine leads to an enhanced firing of neurones which improves various aspects of brain function like memory, reaction times and general cognitive function. Coffee is one of the richest sources of antioxidants. Those little beans contain more antioxidants than fruit or vegetables, essential vitamins like B5, B2, B3, B1 and minerals such as Potassium and Manganese. These are all key to making sure your body maintains high energy levels and that your cellular processes run well. By indulging in one, two or more cups of coffee, you can benefit from these nutrients and keep your health at optimal levels. When you drink a cup of coffee, that caffeine dose increases the adrenaline levels in your blood. This “fight or flight” hormone is designed to prepare our bodies for intense physical exertion. So it comes to no surprise that athletes have been using caffeine has a natural performance enhancer for years. If you are feeling a bit sluggish before your gym session, have a cup of coffee and give yourself that much-needed push to achieve your fitness goals. If you are trying to lose weight, drink some coffee. Caffeine naturally increases your body’s metabolic rate and helps it get rid of fat more efficiently. So instead of guzzling down fat-burning supplements and throwing money down the drain, pick up some good quality non-decaffeinated coffee. 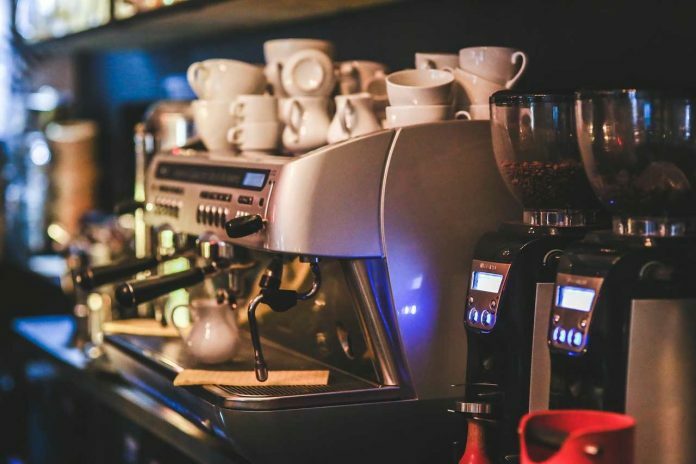 By investing in the coffee maker, you can be rest assured you are preparing your caffeine fix correctly. All you need to do next is drink a few cups a day and let your body do the rest. Did you know that drinking coffee regularly can lower your risk of suffering from Type II Diabetes? A massive study with 457, 922 individuals showed that a daily cup of coffee was associated with a 7% reduced risk of developing the disease. Coffee also has health benefits against neurological disorders like Alzheimers and Parkinsons. Several studies have shown that coffee drinkers have a 60% lower risk of developing these neurodegenerative diseases. For all these reasons, coffee does seem to be one of the healthiest drinks in the world. So do yourself a favour and drink a cup or more a day to stay healthy and achieve your goals. Next articleTravel to these Beautiful Destinations this Winter! Caroline is a self-professed coffee connoisseur. Her desire to find that “god shot” of caffeine has taken her on adventures around the world, sampling the best of the best from Vietnam, Ethiopia and Brazil.